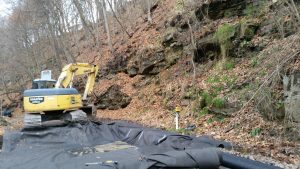 The 2016 projects funded under the DGLV program tackled a large number of drainage, stormwater and water quality concerns. Erskine Quarry Road located in Mahoning Township was funded under the low volume road portion of the program and Neshannock Avenue Extension project was funded under the dirt and gravel section . Both projects went to construction and were completed during the calendar year. A few of the highlights are featured below; however, if you are interested in a more comprehensive look at the improvements, please get in touch with District’s staff at 724.652.4512. The photos show an example of the work completed on the project. The District worked closely with the municipal road crew, GP Construction and RAR Engineering. Top: Continuous wash out and compromise of the road edge, additionally an un stable and eroding ditch. The road ditch was receiving too much stormwater from a large up stream contributing area. 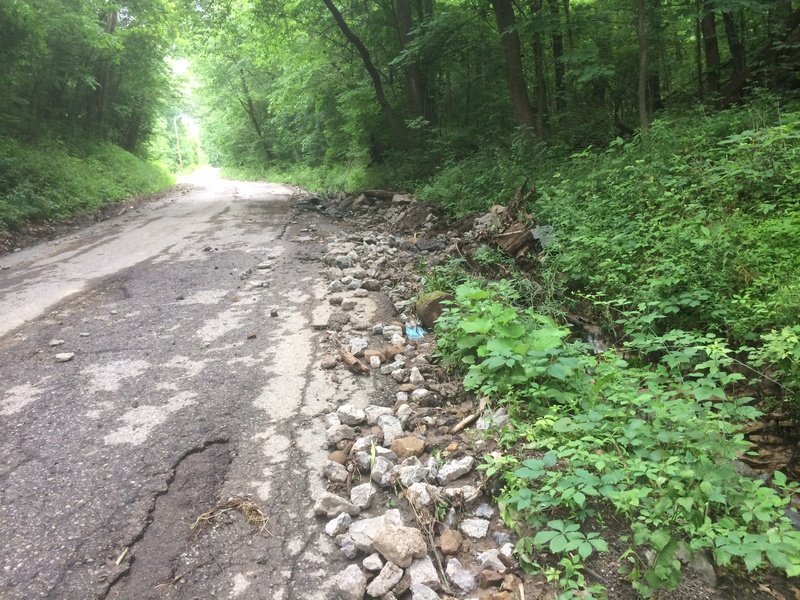 Bottom: This photo shows the same portion of the road after up stream division of the amount of water reaching the area and the installation of a new cross pipe. 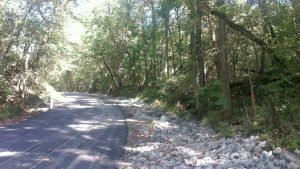 Numerous upgrades and improvements in the contributory area separated the run off from the up stream area into the ditch. 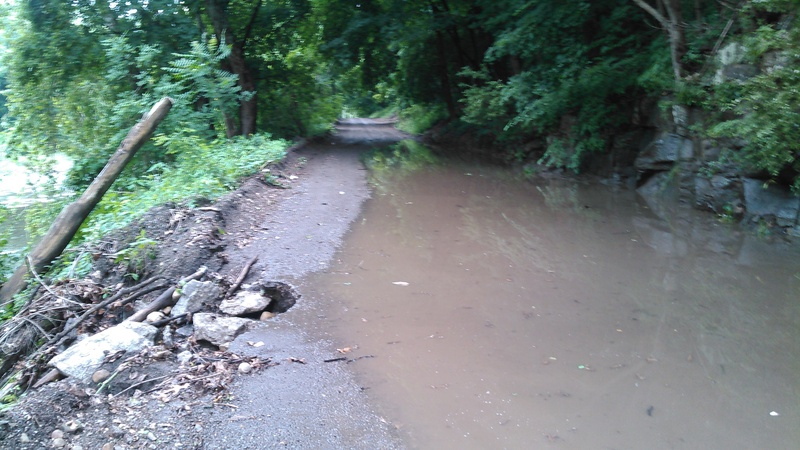 Top: The roadway is located next to the Neshannock Creek and receives stormwater from the up stream watershed. Water was trapped in the road way cross section. This resulted in the saturation of the base and ditches. Bottom: In addition to the installation of several culvert replacements, french mattresses were installed in series in critical areas along the road to help move the stormwater under the road surface.